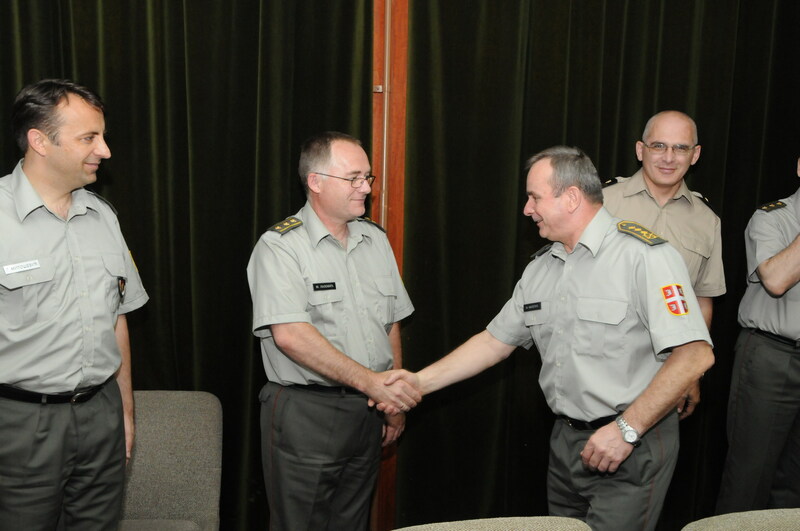 On Tuesday, June 22, 2010, at 01.00 PM, in the cabinet of the Chief of the General Staff, a meeting attended by Lieutenant General Miloje Miletic, the Acting Director of the MIA Brigadier General Dragan Vladisavljevic, the Head of the Section for International Military Cooperation in the cabinet of the Chief of the General Staff Mira Milenkovic, the Head of Preparations Colonel Stevan Stojisavljevic and the members of the new generation of defence attaches and assistants to defence attaches was held. 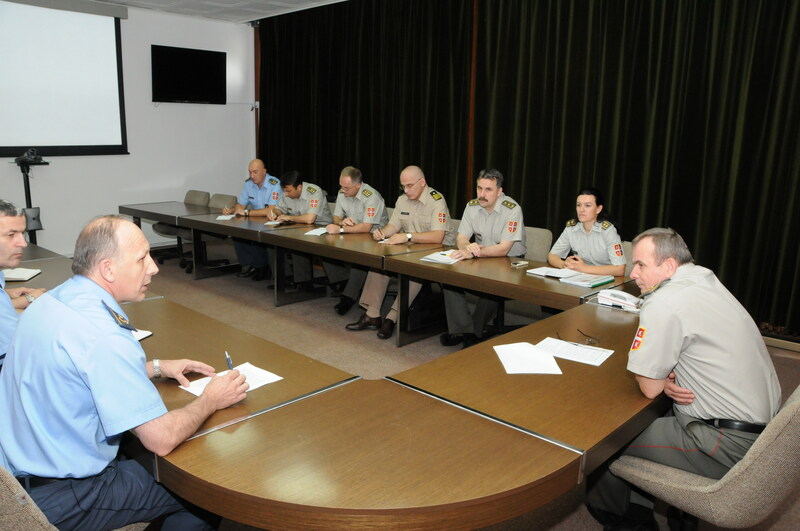 In his introductory word, the Acting Director of the MIA introduced the Chief of the General Staff to the contents of finished preparations of the group of diplomats and presented defence attaches and their assistants to him. 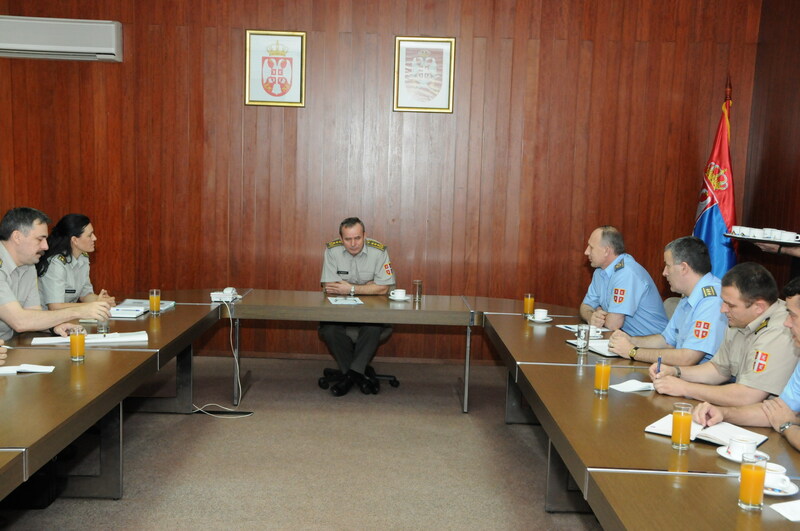 The Chief of the General Staff, Lieutenant General Miloje Miletic emphasized the most important stances of the Armed Forces of Serbia, regarding the issued significant for the security and defence of the country, for relations with armed forces of other countries, for international oganizations and institutions in the defence sphere. 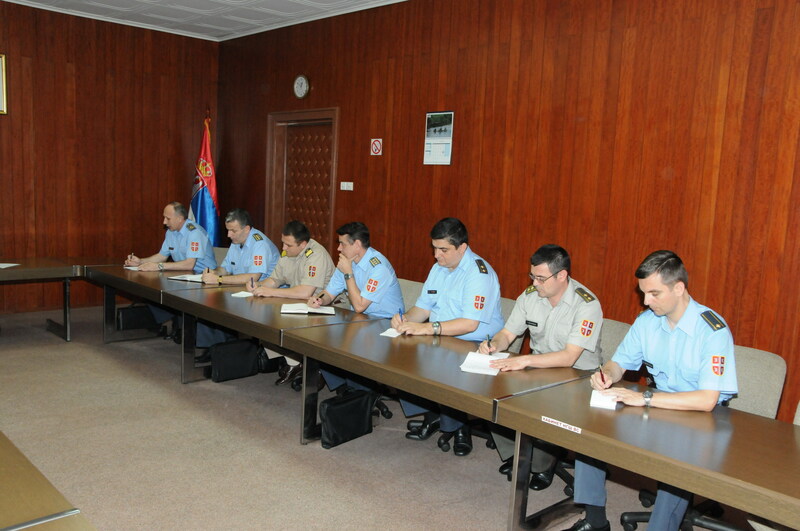 During his exposition, he reminded the people attending the meeting of the fact that the priorities of the Armed Forces of Serbia would in the future remain professionalization and expansion of involvement in peace keeping operations. 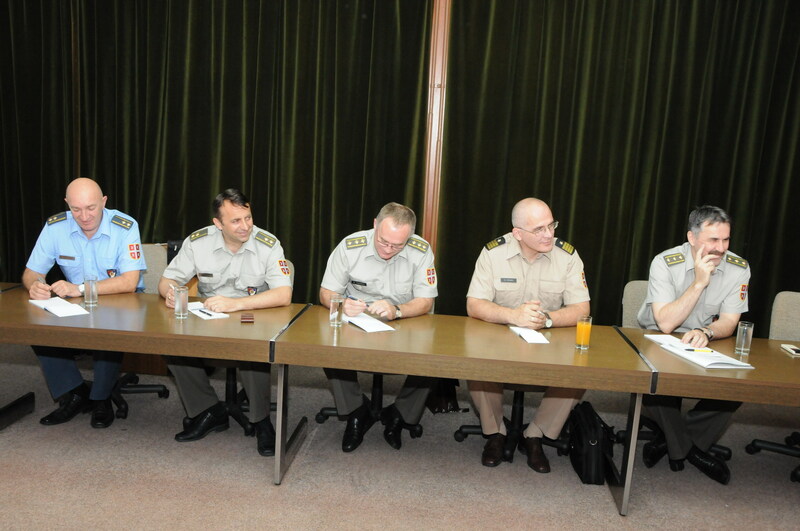 He introduced the attaches to the achieved level of the development of the military cooperation with the countries to which the diplomats were being sent and to the planned activities.